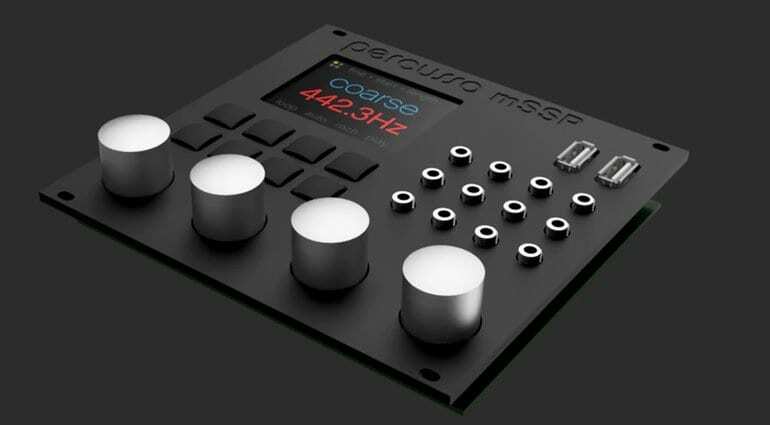 The Percussa SSP is one of those futuristic and boutique projects that looks amazing but somehow seems out of reach of the normal person. Especially the cost in terms of both money and Eurorack HP. So here comes the mSSP the “micro Super Signal Processor”, a smaller, cheaper but just as handsome Eurorack module for processing your super signals. 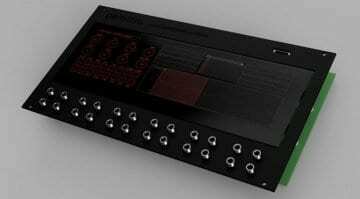 It’s an ARM-based DSP module for Eurorack that can be whatever you want it to be. The Quad Core Cortex A17 1.8GHz processor is nifty enough to handle lots of polyphony, effects, audio processing, synthesis emulations and all sorts of wizardry in a far more reasonable 26HP (the SSP is 60HP). It’s the same engine as the SSP just in a smaller unit. 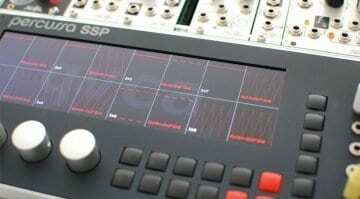 The mSSP currently has 50 modular synthesis patches which include wavetable synthesis, granular sampling, multi-channel audio processing and many more built from the library of 25 internal modules. These cover oscillators, filters, LFOs, samplers, effects and whatever else someone wants to dream up. 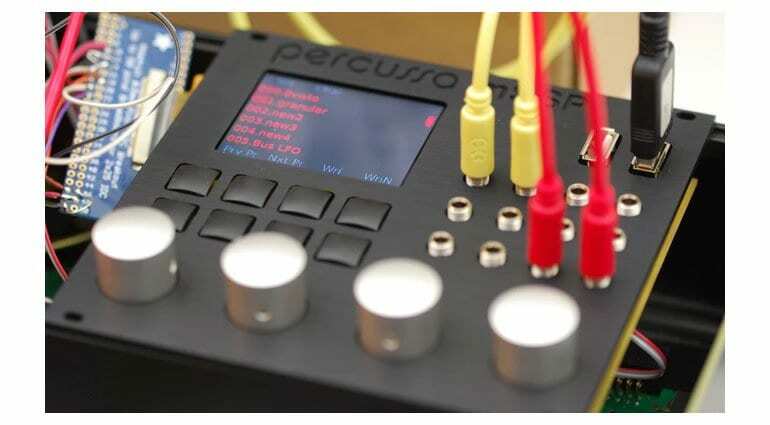 It’s like the ultimate multi-purpose Eurorack module while being a modular system all of its own. The hardware has a much smaller 320×240 pixel colour screen and fewer I/O. 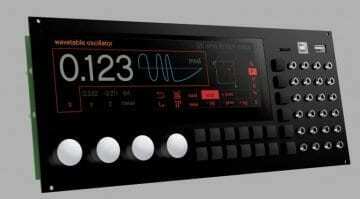 There are 8 inputs and 4 outputs using high precision converters and sample rates up to 192kHz. These are DC Coupled and can be audio or control voltage. The four silver knobs look lovely – machined from aluminium apparently – and there are 8 industrial temperature high-quality switches (whatever that may mean). The menu system is designed to be as minimal as possible with large fonts for parameter display and also features an oscilloscope. There are 2 Host USB ports for MIDI and MPE controllers and also USB thumb drives for loading/saving samples and patches. What are you going to do with all that lot? Without a doubt, this is something to behold. Perhaps unlikely to appeal to all knob twiddlers it will certainly resonate with fans of digital processing and versatility. And the price of $549 puts it under the price of a complex oscillator like the Make Noise DPO or the E352 Cloud Terrarium. The goal of $120,000 is high, much higher than the SSP project but they funded past their goal up to $62,000 with 51 backers. To reach it they’ll need over 200 preorders. Well, who knows, it is a great price for an extraordinary module.